Having beautiful plants is a way to bring a dazzling view to your home and lawn. Not everyone has a green thumb but often a little help gives you a start at growing your own successful Flowerbed. 1) Take the time to make a proper environment for planting. Loosen the soil at least 6 inches and add organic matter before raking level. 2) Don’t smother plants with too much soil Try to make the soil layer about 1/4 inch thick or follow instructions on the seed package. 3) Nourish your plants as they are growing One food option is to use manure tea, fast feed with water-soluble fertilizers or go organic with slower acting but healthier compost. 4) Remove the weeds while plants are growing This will give your plants a chance to grow up straight & sturdy. The weeds will steal all the nutrients & water from your plants. 5) Be protective of newly planted seedlings Try keeping the soil moist but avoid fertilizing them until you see at least 2 true leaves. Fertilizing before that could cause harm to them. 6) Deadhead plants as it is needed When your plants are blooming, remove all the blooms that look healthy by shearing them off. 7) Help support your plants as they grow taller Use props to help them stay strong against the rainstorm and high wind days. 8) Use plant adoption instead of planting. You can purchase plants or start them out indoors and transplant them into your garden. I hope this post helped some of you out there that would like to start a garden or plant bed. Below are a few links to some products that could help you as well as a video about growing and transplanting your plants. Thanks for visiting. We’re currently still living in a tiny appartment but are set to move to a house with garden in 6 months from now. I am sure this guide will help us on our way to make something beautiful of it. I’m guessing the organic way is your prefered way of working? Thanks for the helpfull tips! Congratulations on you new house. Growing organic is a good way. And you are guessing right if you are concerned with helping the environment. It actually is said to decrease diseases and is a good mental & physical benefit. But one thing is for sure it will be great for your soil and everything involved with having healthy soil. Thanks for visiting and sign up for our Lawn Service News and get more helpful information. I’m a total newbie at gardening, but the house we bought has several flower beds that we’ll need to fill. I appreciated your tips! What’s behind the idea of dead-heading (cutting off healthy looking blooms)? I’m not sure I get why I’d be cutting off the first nice-looking flowers LOL. Is it so they grow fuller or taller or something? Also, my husband planted tulip bulbs (we figured they’d be “easy”) but they all got dug up and eaten by the local squirrels – any tips on how to handle that? Hi Marlaine. Sounds like you guys have a looter. They can’t help it. They are just doing what squirrels do. Looking for food. When they see freshly dug soil they assume another hidden treasure is there so they dig it up. They really don’t prefer that as their choice of food. I have heard that if you cover up where your bulbs are with shredded leaves it will help deter this from happening. you might want to try that this year. And deadhead only the weak blooms so the healthy will have a chance to thrive at its best. thanks for visiting and I hope the little bandits leave you alone this year. Great info! I could not have read this post at a better time. I decided to grow some herbs this year and this post gives some ideas on what to do. so far I got few bags of potting mix soil and some basil, okra and beats seeds. I was not sure when going to put fertilizer down and now you have answered my question. I will be planting the seeds in about a month or so ( it is currently winter where I live). That’s wonderful. Sounds like you got a plan. I’m glad this post was what you needed to get you pump up for you garden. If you take good care of those little ones they will make you proud. I wish you much success growing your garden. Thanks for visiting. Hello Ronnie, this is really a place for the ‘green fingers’ among us. Thank you for the 8 ways that help our plants grow. What looks better than a well maintained garden after the winter has come and gone. Absolutely. I’m glad you can use the tips. I know a lot of people like to put their own special touch on things and I thought this might help those who maybe just started planting their own plants. Thanks for visiting and feel free to sign up for the Lawn Service News And receive information as we post it. Great tips! I want to start growing more plants this spring and would love to have a couple flower beds out front. We have a big garden area but few things seem to survive because there is lots of clay just under our soil. Many of the plants start spreading into different areas and right now it just looks disorganized and chaotic, not to mention dead because of the snow. I’m thinking about making raised flower beds somehow to overcome the soil problem. Thanks for the info! You will have a beautiful flower bed I’m sure. You sound like you love doing it and that is the first step. one tip I can give you is that clay soil is loaded with nutrients. Did you know adding lime to the low pH it has will make the nutrients good for plants? Al,so adding organic matter will help it as well. If you think raising it will work that’s fine to. I hope you have the best bed in the neighborhood. 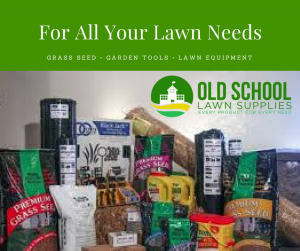 Thanks for visiting and sign up for our Lawn Care Service News. This is a nice little article with some sound advice in plant and soil care. I used to grow vegetables in my garden several years ago and I used to implement many of the principles you have mentioned here. Thank you very much, Paul. It is good to know that the recommendation is of good quality. I hope that a lot of people who are really just getting started on doing their own growing can benefit from this. I appreciate you stopping in. Feel free to check in from time to time.